Richard Petty starting driving NASCAR a few weeks after his 21st birthday, way back in 1958 and before they called him "the King" he was known as the "Squirrel". 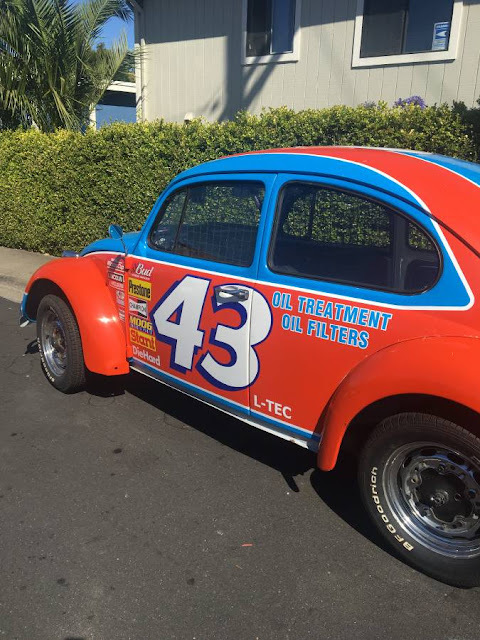 Petty is most famous for driving full sized Plymouth and Dodge muscle machines, but that didn't stop this next fan from building a CRAZY VW Beetle tribute car. Find this 1967 Volkswagen Beetle Type 1 offered for $7,500 in SF Bay Area, CA via craigslist. Tip from Hugh. Registered pink slip in hand!!!! Petty famously said "you do not know how fast you can go around a corner until you spin out", this dude has spun out. So silly that I actually like it. Though, I wish they hadn't used a solid '67 as a base for this. 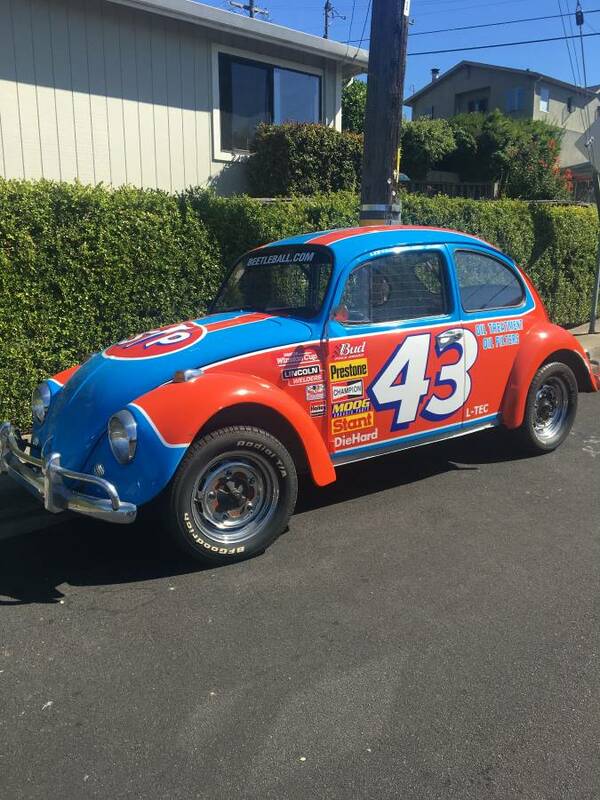 I think the asking price is tacking on a few grand for the novelty paint job. I don't really see enough to justify the price.